You are here:Home-Blog, Disability Attorney, Long Term Disability Attorney, Social Security Attorney, Social Security Disability Benefits Louisville, Social Security Help Louisville-To What Extent May I Receive Back Payment Of Benefits? To What Extent May I Receive Back Payment Of Benefits? 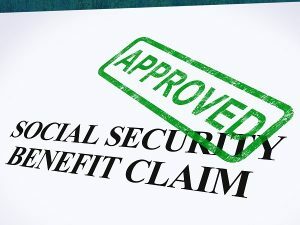 Some cases involving social security benefits necessitate determining if a present or former recipient of benefits is entitled to the back payment of benefits. The Sullivan Law Office provides assistance in ensuring that all applicants and recipients receive all of the benefits to which they are entitled in all kinds of disability cases. These include Social Security Disability, long-term disability, short-term disability, state retirement and workers’ compensation. Today’s blog offers a closer look at the retroactive receipt of disability benefits. Disability benefits consist of a set monthly payment amount of money for as long as the disability continues. The monthly payment amount for recipients of Social Security Disability Insurance (SSDI) benefits are based upon record of work earnings record. On the other hand, recipients of Supplemental Security Income (SSI) benefits receive an amount equal to the maximum amount allowed by Social Security minus established, set amounts for income, assets or other resources. If an applicant applies for SSI on June 1, 2016 and such benefits are approved, then June 1, 2016 is the first day that an applicant may receive any back payment once benefits are awarded. Thus, if an application is approved on December 1, 2016, recipients will receive monthly payments for the six-month period a decision was pending. A further requirement is that the applicant must meet the financial criteria for SSI. Bear in mind in this example we picked June 1st, so that month counts. If it is any other day of the month, benefits can be paid effective for following month. Things get a bit more complicated regarding retroactive payments when applying for SSDI. Applicants are permitted to receive retroactive payment for up to twelve months prior to the date that an SSDI application was filed, provided the applicant was disabled at such time. We call this the one-year look-back period. For example, if someone is off work 10 months and applies, since we can go back one year prior to the filing of the application, he or she can receive all their back pay. If that person waits 20 months to file, since we can only go back 12 months, they are leaving 8 months of benefits on the table. We usually suggest people file SSDI well within one year of the onset of disability (which is usually when they stop work). There is a 5-month wait on retroactive cash benefits hardwired into the US Code. You can thank Congress for this waiting period. Simply put, the SSA will not pay the first five full months of benefits. So, if a person wins their case and is entitled to 15 months of back pay, they only get 10 months (the first five full months are not paid). If a person has some type of terminal cancer, quits work, files a claim, and is somehow magically immediately approved, they still wait the 5 months for their benefits. Here is another fun fact, for most disability cases, Medicare has a 29 month wait for eligibility. Calculating onset dates in SSI and SSDI cases is crucial and confusing. The actual date of your disability can be very fact dependent, or it may turn on a legal issue- what we call a GRID rule (certain Medical Vocational Guidelines that key on the age of the claimant). We’ve been representing all types of disability clients in Kentucky for over twenty five. Sometimes there are trade-offs in a case, and perhaps in order to protect your future, you end up forgoing some past due benefits. Get advice from an experienced attorney. Contact us today for your free consultation. Call 888-587-0228 or visit us online. Merely contacting this office by phone, electronically off this site, or by email does not create an attorney-client relationship. All legal services require a written contract to employ Mr. Sullivan. The information is presented here is informational in nature, and it not intended to be a substitute for sound legal advice that is unique to your specific situation. You should not rely upon generic information, but should seek legal advice that is tailored to your circumstances. As always, all initial consultations are free.